This time around, Sony has collaborated with Marvel Studios to bring a more fun and creative web-slinger to audiences. 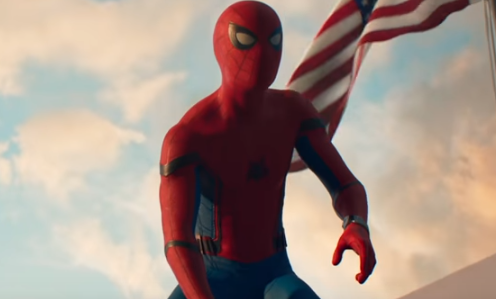 They also have joint-custody of the character which allowed Spidey to be part of Marvel's "Captain America: Civil War" last year. Returning the favor, Robert Downey, Jr.'s Tony Stark plays an important role in mentoring the high schooler as a full-fledged superhero. Marisa Tomei also reprises her role as Aunt May from Civil War and the cast also includes Zendaya, Jacob Batalon, Laura Harrier, Donald Glover, and Tony Revolori. The new trailer offers a lot of new footage especially of Micheal Keaton's Adrian Toomes aka the Vulture. As a salvager, Toomes picks up the wreckage left behind by New York's superheroes but as the blue-collar type, he feels threatened by Stark Industries. "The rich and the powerful, like Stark? They don’t care about us," he says as he takes a villainous turn in a mechanical flying suit. Directed by Jon Watts, Spider-Man: Homecoming hits theaters on July 7.